The Arab world is a high-growth region. Women have long been major drivers of this positive economic development. This goes back to the days of the Prophet Muhammad, whose wife Khadija was a successful entrepreneur at her time. Today, women in Northern Africa and the Middle East are also working in managing positions and starting up companies – even though, as the World Bank has found in a report, this is the world region where women face the most legal barriers. The commitment and dedication of these women serves as an inspiration and as encouragement to the upcoming generations of women in the Arab world. Many of these young women have excellent qualifications. In many Arab countries some 60% of university graduates are women. 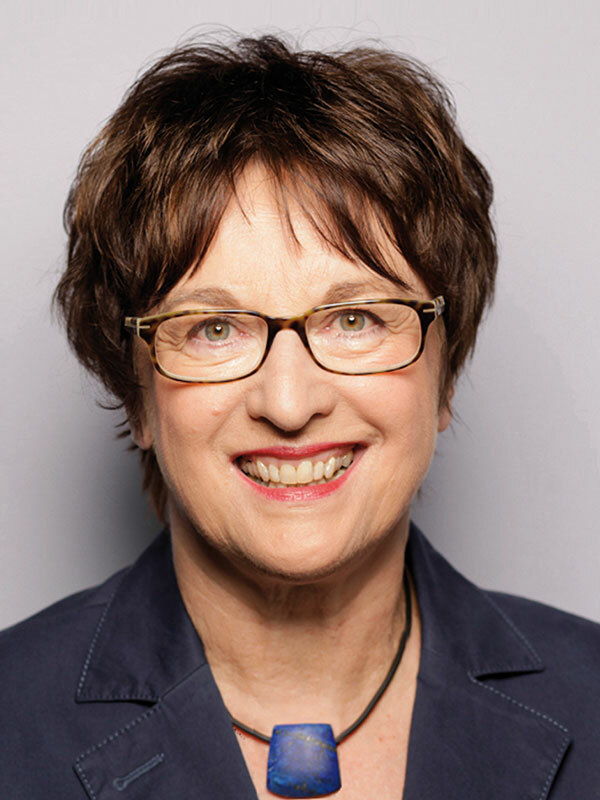 For all these reasons, women have long been playing an important role in German-Arab business relations. And these relations have been developing remarkably well. 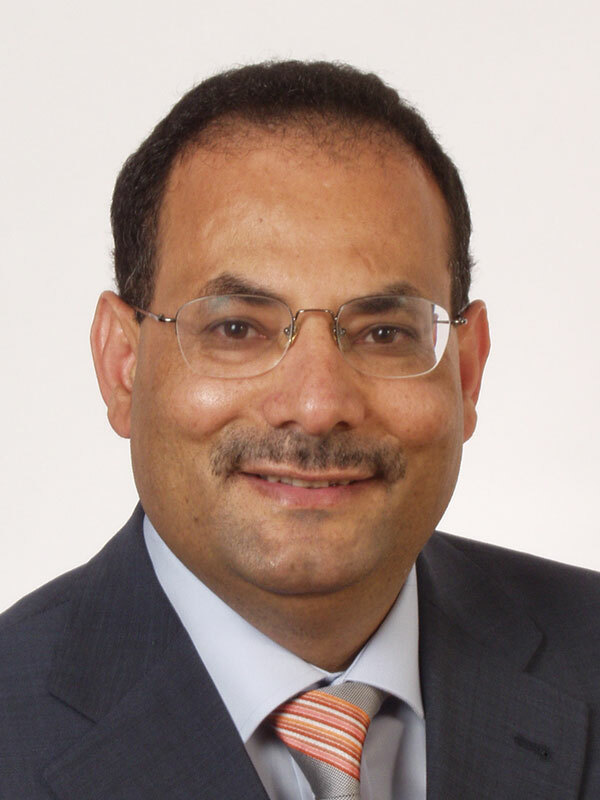 It is in our mutual interest to further strengthen German-Arab business relations. In my opinion, an important part of this is to empower women. In the long term, no country in the world will be able to afford to refrain from integrating highly-skilled, intelligent women into the workforce. This is why the initiative of hosting a German Arab Women Business Leaders Summit is so important. There is still a lot to be done. According to the United Nations, the world’s female working population earns some 23% less on average than men. In Germany, this gender pay gap stands at 21% and has changed very little over recent years. In 2015, we introduced a quota to ensure higher levels of female representation in leading positions in the private economy and in the civil service, and thus opened a new chapter in our culture of work. But it is not only on the boards of large companies that we need more women. We must also encourage more women to start their own businesses. There are still far too few women choosing this avenue. Only one in three startup entrepreneurs in Germany are women, and the figure for technology-driven startups is even lower. We need to change this! This is why we have launched the “WOMEN entrepreneurs” initiative, which seeks to kindle women’s entrepreneurial spirit. Under the initiative, some 100 female entrepreneurs act as role models and present their work and their companies at schools and universities. This voluntary work is to inspire young women to set up companies of their won. I myself am the first woman to have had head up the Federal Ministry for Economic Affairs and Energy. It is important to me to put women and their achievements in the spotlight. 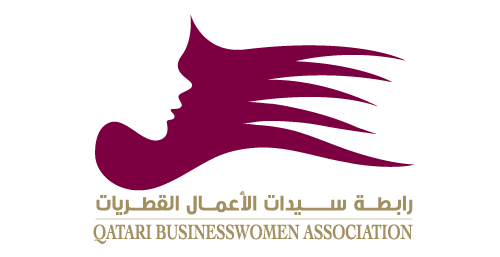 This German-Arab Women Business Leaders Summit is a good a place to highlight women’s successful work in business. I wish everyone attending an inspiring event and hope that you will be able to learn from another and provide each with other mutual support. 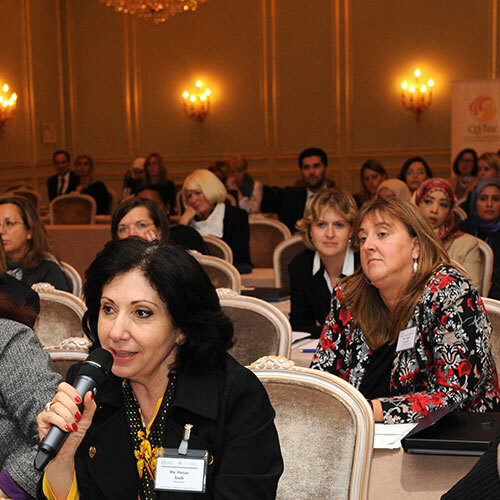 The German-Arab Women Business Leaders Summit 2018 has been established to connect, engage and empower women across Germany and the Arab world. When Women Lean In, Economies Win. Empowering women economically bears a major potential for economic growth worldwide. For more than 25 years I have had the pleasure of meeting many inspiring women leaders from different backgrounds, all succeeding, excelling and progressing in their chosen field of work. These women are strong, determined and passionate, their confidence, enthusiasm and presence sparkle. They are the most empowering women I have ever met. I feel these women are the key to motivating others in society, to unfold their full potential and open up new horizons, to help contribute to a growing world economy by sharing their expertise. 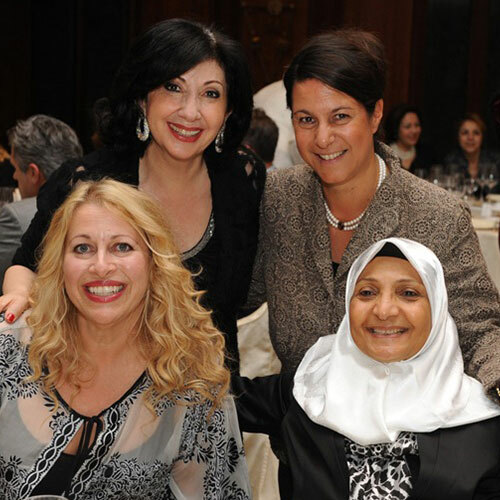 I feel these extraordinary women play an essential strategic role in German- Arab business relations. So it was about time to create a platform to connect, share and grow alongside these empowered women. 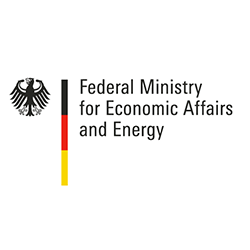 Held under the Patronage of the Federal Ministry for Economic Affairs and Energy, the German-Arab Women Business Leaders Summit, 15-17 October 2018 in Munich, offers a unique and exciting opportunity for businesswomen, entrepreneurs and professionals to engage with more than 400 high profile leaders and decision-makers from Germany and the Arab countries, to network, collaborate and share innovative ideas. The GAWBL Summit aims to strengthen and further explore German-Arab business relations. 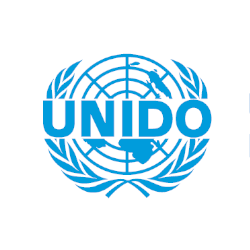 It seeks to promote women’s empowerment on a range of topics including, leadership, entrepreneurship, knowledge management, IT, financing and capacity building, so to deal with the new global challenges of modern management, interlinked societies, integrated economies and growing digitalization. It is time to network, innovate, create. Sheikha Lubna Al Qasimi, Wided Bouchamaoui, Sarah Al-Suhaimi, Lubna Olayan – these are just four of hundreds of highly influential women in the economies of the Arab countries. The economic impact of women’s participation in high-ranking positions, as well as in the workforce has significantly increased in the recent years. Today’s successful Arab women leaders are taking high positions in government, finance, manufacturing, and in entrepreneurship. 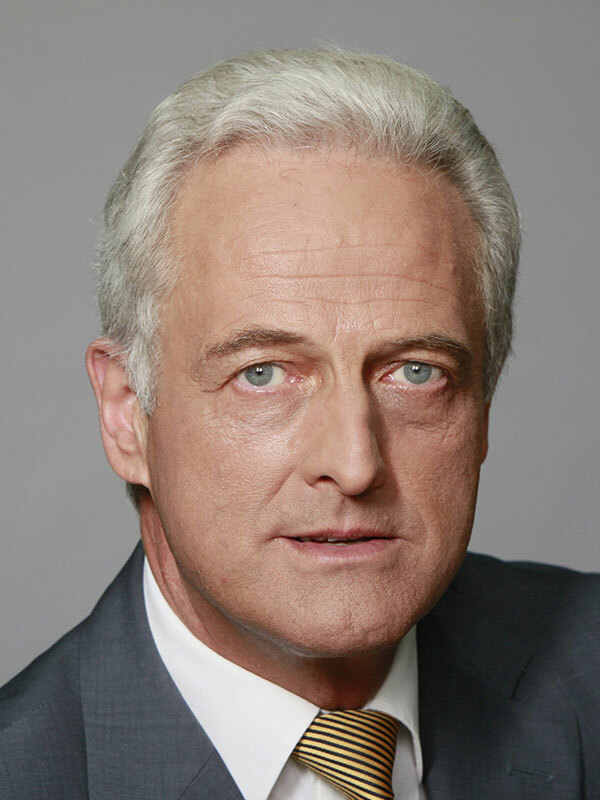 Therefore, opportunities for entrepreneurial cooperation between Arab and German women are high. Despite the potential of business women however, there is still a big “gender gap”. According to the Global Entrepreneurship Monitor, established business ownership among women is lowest in the Middle East and North Africa. On the other hand, the region reports highest average growth expectations among women at 37% and highest gender parity. Among entrepreneurs, women report high innovation levels and are 60% more likely than men to state that their offerings are innovative. Seven of the 10 countries in this region report higher innovation levels among female entrepreneurs than among male entrepreneurs. 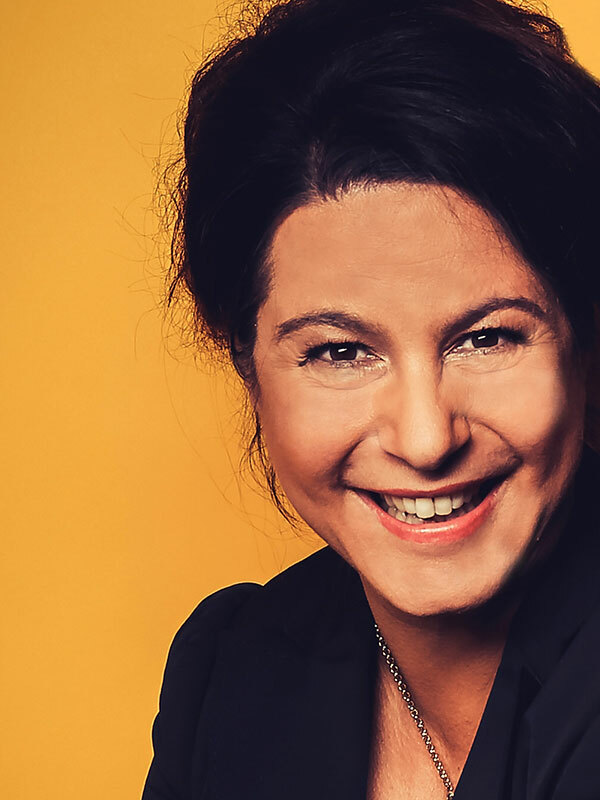 Exchanging ideas, experiences and perspectives of leading business women from the Arab world and Germany will further boost economic relations between the two regions. 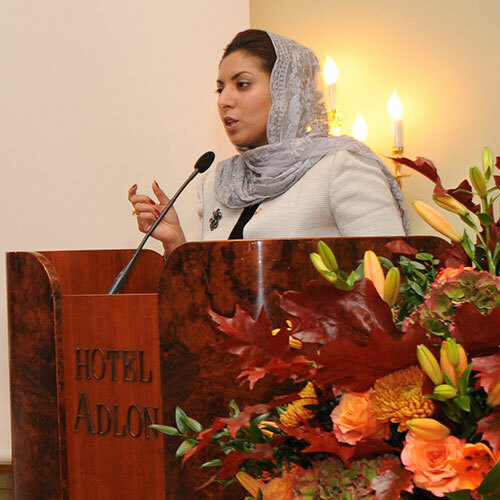 In order to identify opportunities for business partnerships and innovative collaboration between women in the Arab countries and business men and women in Germany we at Ghorfa Arab-German Chamber of Commerce and Industry, in cooperation with the Union of Chambers, partner with CrossCultures Network in organizing the German-Arab Women Business Leaders’ Summit from 15th – 17th of October in Munich. 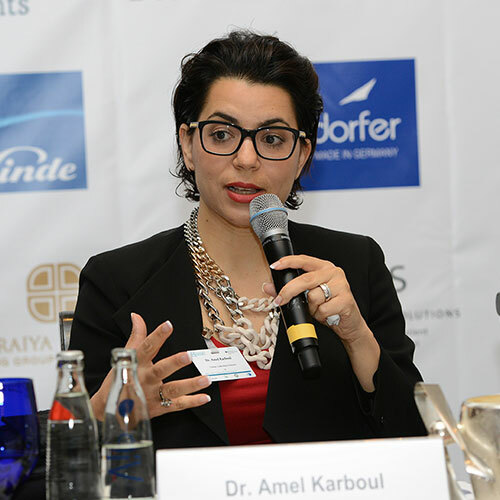 The GAWBL-Summit 2018 will bring together an exclusive gathering of high-ranking women from the Arab countries and Germany, leading female representatives of business and academic communities as well as Ghorfa partners and members from diplomacy and government, international civil society and heads of leading business institutions. It will be our great pleasure alongside with Dr. Gabi Kratochwil, chairwoman of the GAWBL-Summit 2018, to welcome you at the German-Arab Women Business Leaders’ Summit. 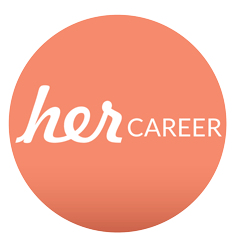 Network with women business leaders and high profile experts. Share ideas with decision makers and innovative minds. Explore new perspectives and business opportunities. Over 400 participants from Germany and the Arab countries. Engage with inspiring keynote speakers. Develop best practice from Germany and the Arab countries.